We Have Our Eyes On These 5 Brides Who Looked Like *Candy* On Their Wedding Day! Are you a bride-to-be and obsessed with candies? We bet you're obsessing over a candy themed mehendi function or a bridal shower. While candy coloured decor is pretty easy to pull off, a candy colour lehenga makes you think twice. We get it, but we don't entirely agree to it. 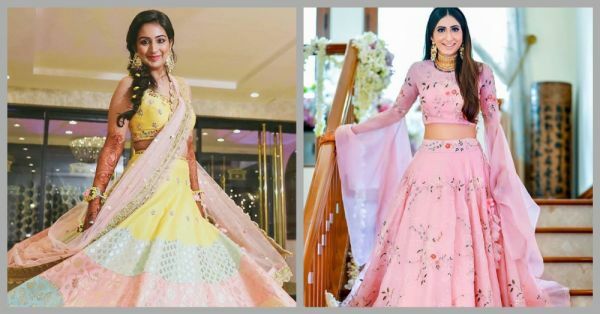 So, we found 5 brides who wore lehengas in colours from the candy palette for their big day and it's all the inspiration that you need. Bookmark these pictures if you're having a day wedding but don't be afraid to try them in the night too! 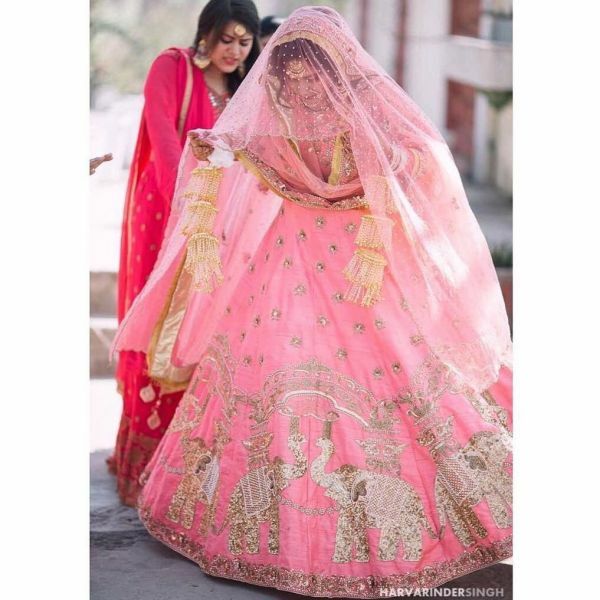 Pink is a hot favourite among Indian brides, but spare a minute to take a look at this gorgeous carnation pink colour lehenga with elephant motifs by designer Harkiran Basra. Perfect for your Anand Karaj. This gorgeous turquoise lehenga by designer Harkiran Basra is sure to take your breath away! We love that the bride chose to go with the same colour for her lehenga skirt, blouse and dupatta and let her pop pink chura stand out. Such a fun bridal look! 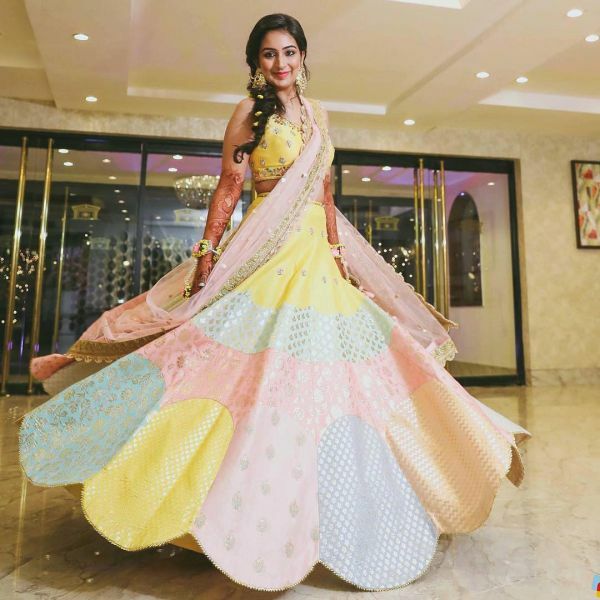 How pretty is this bride, twirling in a gorgeous candy colour handcrafted lehenga in yellow, pink and blue by designer Liz Paul? The scallop hem, the soothing colour palette and subtle gold embroidery just set the tone of the lehenga right. Love pink with floral thread embroidery? Well, here's a lehenga which you will fall in love with. Perfect for brides who like to keep it simple and elegant. 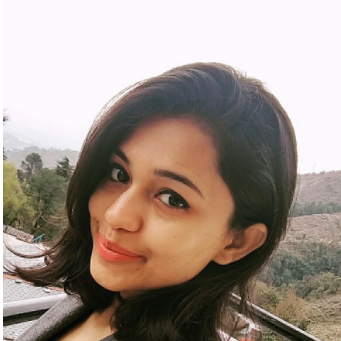 And don't miss the cape sleeves that double up as a dupatta. So stylish, right? Sonam wore a chevron print lehenga at her reception so naturally, it's the print that's going to be huge this year. But that's not the only amazing thing about this outfit. The candy blue colour coupled with shades of the sunset make this lehenga perfect for the mehendi.